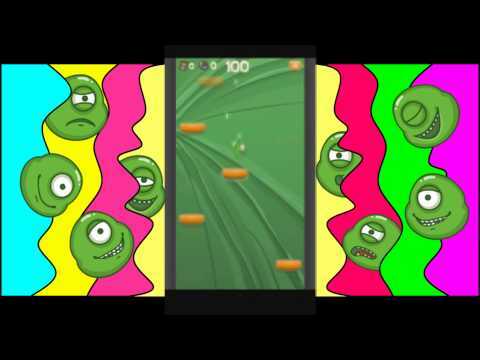 Falling Pip - Easy, dynamic and interesting mobile game about a green monster, fun leaping on the bridge. On the route Pip’u will have to overcome many a of various obstacles: “Mad Gorilla”, “portal”, “trap”, as well as bonuses, “Metal shell” and “Sands of Time”. The game has a simple but interesting plot: Pip monsters under the force of gravity tends to fall down, and you need to not let it fall! After all, if Pip falls, he will die! You must substitute the moving platform and hold the hero of the game from falling.